There’s no two ways about it, running a business is a tough balancing act that can be a struggle to get right at times. You and members of your team would be wearing multiple hats, plugging holes and fighting fires as they appear. The metaphorical fires roar and you leap to the rescue to make sure your customers are happy, your sales team have what they need, and internal projects get delivered on time (sometimes). This is the old way of doing things. There is a better way. By using marketing automation, CRM and project management tools, you and your team are now able to streamline and refine your businesses processes from the front end (sales and marketing) to the back end (fulfilment and task management). You set these automated processes up once, and they work for you forever. All of a sudden the balancing act seems a lot more simple. Your team works more efficiently which saves you money, and you stop having the need to fight fires and make sure everything is alright, saving you time. That’s where a tool like Ontraport comes in. Simply put, Ontraport is an “all-in-one” small business automation platform. But what does that mean? Well, whether you’re a B2B/B2C service based business, an online ecommerce brand, a thriving software business or even a budding “solopreneur”, the team at Ontraport have built a system that can handle the majority of your business processes for you. You see most marketing automation and CRM software tools focus on solving one specific business problem. Pipedrive – A sales CRM that enables you to keep tabs on all lead and customer activity. MailChimp – Email marketing tool that is great for sending attractive and engaging emails. Unbounce – Landing page builder that is quick, simple and easy to use. GetAmbassador – Referrals platform that enables you to easily setup and track partner referrals and commissions. You can see that these systems are great at solving one specific need, but the truth of the matter is that most businesses have multiple needs and are required to “stack” these different software systems. There a few problems with stacking these varying pieces of software, the first and most obvious one is cost. Each tool has a monthly fee attached to it which means that depending on the size of your business, you could be spending hundreds, if not thousands, every month. The second problem with software stacking is that you need to make all of the tools work together and share their information with each other. This means you need to understand how to integrate each platform with the others to make any sense of your sales, marketing and business operations. The final big problem that I see many of my clients have struggled with is getting their team to adapt to all of the different tools for the different processes. Training team members on how four different platforms all work and communicate with one another is no small task and can be overwhelming. These features all exist in the same environment, they work together seamlessly, your team doesn’t need to worry about learning multiple systems and you get all of these features for a fraction of the cost of purchasing multiple single solutions systems. Side note – I’ll be doing a more detailed dive into Ontraport’s key features later on in this post. By developing their all in one solution, they really deliver on that mission for thousands of business owners throughout the world. Ontraport is a bootstrapped business thats come a long way since its early beginnings as OfficeAutopilot back in 2006. 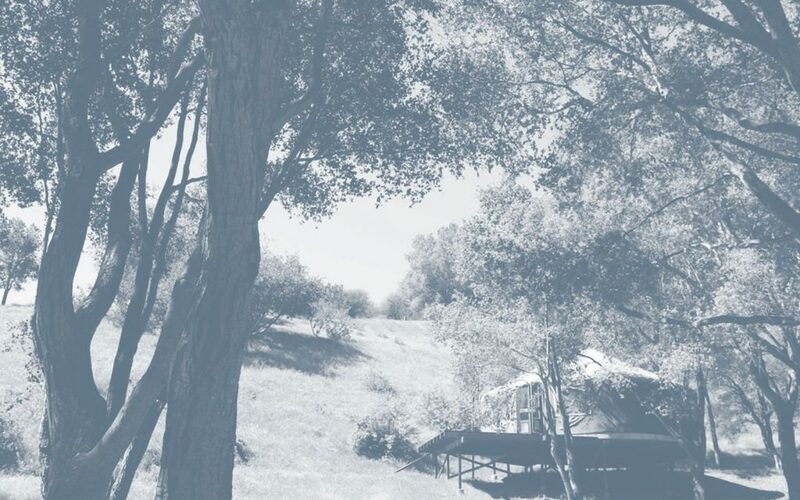 The company was literally started in a backyard yurt in Santa Barbara by the three co-founders, Landon Ray, Pin Chen and Steven Schneider. The company went through lots of mini growth spurts between 2006 and 2011 as it released and upgraded its core OfficeAutopilot and it’s entry level SendPepper products before rebranding to Ontraport in 2012. The same year, Ontraport held their first ever event – Ontrapalooza which has been held every year since and is a staple yearly event for industry leading marketers, users and consultants alike. Since 2012, the team has been releasing feature after feature, upgrading its core infrastructure, adding incredible support and marketing staff and has been one of the biggest voices for women in business (as well as winning countless awards along the way). Ontraport has its HQ in the beautiful Riviera business park, Santa Barbara today and is still a privately owned business with no VC investment. What makes Ontraport different from other marketing and business automation software? There are many things that make Ontraport stand out from the crowd to offer something truly different to SMBs. The quality of the UI, the huge feature list, the landing page and email builders, the visual campaign builder, the list goes on. Even though Ontraport excels at all of those things, many other platforms do offer the same tools and abilities. I think it’s also important to note that where Ontraport excels in many areas, other systems excel in others. All platforms have their strengths and weaknesses but in this article I really wanted to pick a few key points that I believe make it really stand out from the crowd. I’ll dig into this in more detail later on in this article, but Ontraport really goes the extra mile with customisation compared to most other systems in its price range. The value this can add to your business can be huge. Their support team is unlike any other I’ve had the pleasure of dealing with. The knowledge and expertise available through them is staggering and when using their live chat support, the response time is literally within a few seconds. They also offer phone and ticket based support systems, but honestly, I feel that they aren’t really needed for most cases as the chat support is so good. I believe Ontraport’s campaign builder is the best on the market by far. Having used many others like Infusionsoft, AgileCRM, Hubspot, Drip and more. The visual builder in Ontraport is clean, intuitive and easy to use. It’s added performance mode and marketing tracking functionality really allows it to blow all of the others out of the water (in my humble opinion). The community that surrounds Ontraport is supportive, helpful, friendly and above all hugely valuable to any user. Their main community lives in the Ontraport User Community Facebook group and is home to over 5,000 engaged and willing participants. Whether you’re digging for advice on a new campaign setup or looking for the expertise of an Ontraport Certified Consultant to help you achieve success, the Ontraport community is a thriving and exciting thing to be a part of. 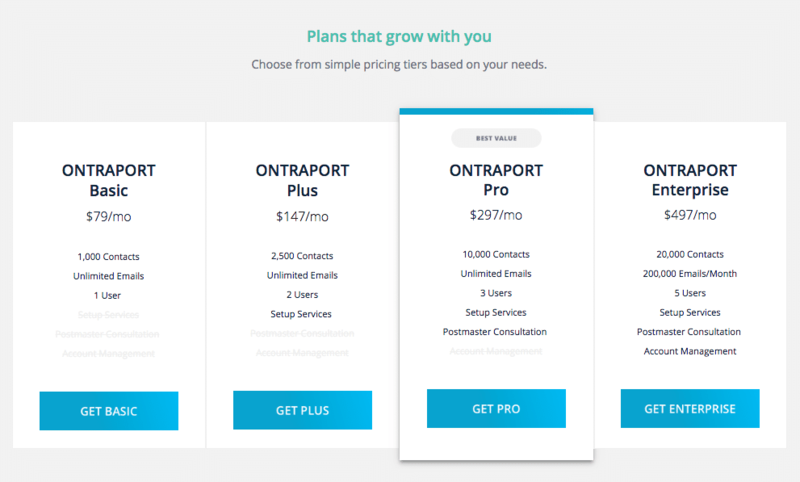 Ontraport has four pricing plans ranging from just $79 per month to $497 per month. Considering the money you will save on other tools like landing page builders, email automation tools, affiliate systems, ecommerce and more, the price points make it one of the most attractive offers in the small business software space. You may be thinking “is this tool really for me?” and in most cases if you’re a small business, I’d say yes, without even knowing you or what you do. 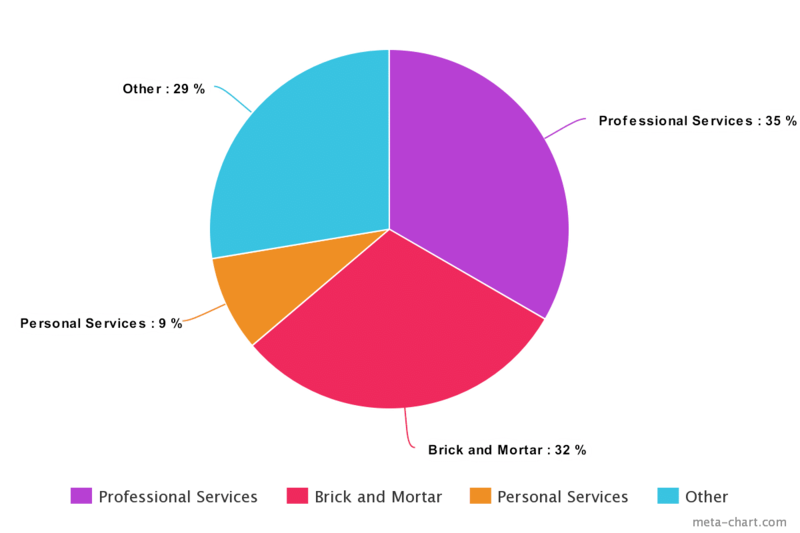 So that’s, 35% running some kind of professional service business, 32% brick and mortar stores, 9% personal services and 29% other. 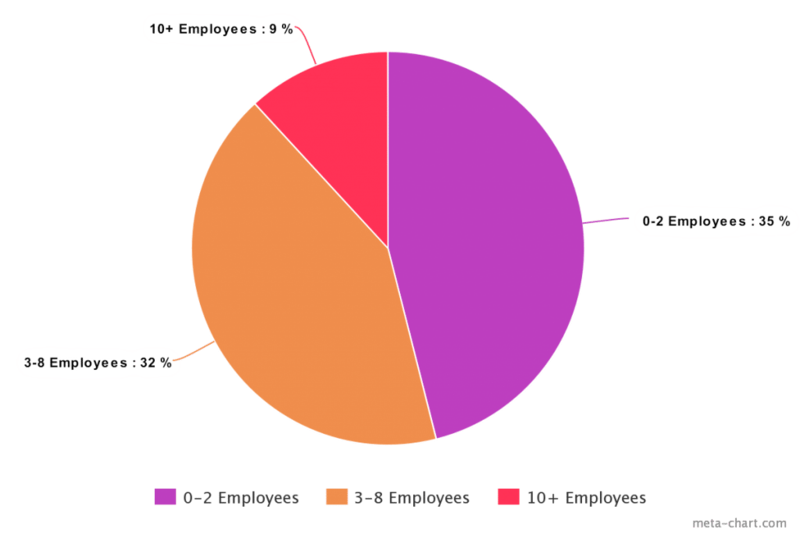 Small businesses of varying sizes use the system but as you can see by the data below, the majority of businesses have between 0-2 employees (52%), with another huge chunk of the user base employing between 3-9 staff members (40%) and the rest with 10+(8%). As you can see, whether you’re a small business that offers a service, sells a product online or in a physical store, Ontraport is being used heavily in all cases to help automate and manage businesses processes for teams. As an Ontraport Certified Consultant, I personally specialise in working with service based businesses to build successful automation systems, but in the past I have worked with a wide variety of different businesses to help them implement Ontraport systems that worked for them. Ontraport can be a fit for most small business types due to its customisable nature and automation capabilities. What features does Ontraport have? The true spirit of Ontraport is in its customisable nature. From day one, the team have focused on building an all in one system that can be tailored and molded to pretty much any type of business. They’ve done this by allowing the user to customise all aspects of the CRM from field names to creating fully tailored databases called “custom objects”. In most sales CRM systems you get three objects usually labelled contacts, companies and deals. For the most part, this works, but what if your company wants to create another database for other parts of your business that need automating? That’s where Ontraports customisation ability really comes in. For example, let’s say you regularly run events and you want to keep track of which contacts are registering, attending and showing up to them. With just a few clicks you’re able to create an events database with customisable fields that you can relate to your contacts. This custom database can also have automated workflows created for it, allowing you and your team to be as hands off as possible with running the events. This is just one simple example of the customisation power that Ontraport has, if you’re interested in finding out more about custom objects and their use cases, head to this article written by Ontraport CEO, Landon Ray. By using Ontraport to get creative with customisations big and small, your imagination is the limit when it comes to things in your business that can be automated. Card view is a feature that allows you to create totally custom pipelines and organise them in a kanban board style with drag and drop functionality. Again, in true ontraport style, the feature is totally customisable and allows you to move your contact records through different stages easily and keep track of who’s at what stage with a quick glance. Automation can also be built into Ontraports campaigns to move people through these stages after different events are triggered. For example, you could build a “Quote Pipeline” and create an automation that moves the contact from “Quote Requested” to “Quote Sent” once a “Create and send quote” task has been marked as complete by one of your team. Or, you could create an “Hot Leads Pipeline” which moves users through different stages of “heat” depending on how active and engaged they are. By building an automation that tracks email opens, clicks, page visits and downloads and using the lead score functionality, this is something that can allow your sales team to easily identify and focus on the hottest of hot leads. These are just a small example of the types of views I have built with clients but the possibilities are endless. Think about your business and the processes that could benefit from this kind of simple visualisation mixed with powerful automation. Probably Ontraport’s most powerful and liberating feature. The visual campaign builder was released with the Ontraport 5 update in July 2017 and it literally changed the marketing automation world as we know it. Many systems like Infusionsoft, ActiveCampaign and Drip have visual campaign builders but Ontraport’s blows the rest out of the water. But that’s not all. Ontraport’s powerful triggers and goals enable you to move contacts around the campaign map by the analysing the users behaviour. For example, if a user purchases a product 3 emails in to a 7 email sequence, move the user to the purchases product goal and trigger more automation from that behaviour. There are two modes of the visual builder. Edit mode – where you build and configure your campaigns. Performance mode – where you see the reporting on a live campaign. Performance mode is what makes Ontraport’s campaign builder stand miles above the rest. As a business owner, marketer or sales professional, these campaign performance insights are key for ongoing optimisation and business growth. Landing pages now play a key part in pretty much every online marketing campaign. Being able to design, build and configure them quickly is a huge benefit to any business. Ontraport’s landing page builder is called Ontrapages. It’s quick and easy to use “blocks” system allows you to build high quality pages in minutes. To get started you can either select from one of the many templates and customise from there, or you can build a page from scratch. When choosing to build a page from scratch you are still able to design and create ease but adding blocks to the page from the blocks template library. This system really does allow you to build amazing looking pages on the fly using the predetermined templates and customising to your preference. The downside to this? You are limited by the blocks that Ontraport provide in the block template library and sometimes this can be frustrating if you have an exact design in your head that you are trying to achieve. That being said, Ontraport are due to be releasing Ontrapages 3 this year which should solve this problem of being limited by blocks. Being an Ontraport Certified Consultant, I have had a sneak preview of the new landing page software and it looks like it’s going to be another game changer for Ontraport users. Much like the landing page builder, Ontraport has an simple and fast email template builder called Ontramail that works on the same “blocks” system. Whether you’re looking to build beautifully designed graphical emails for an ecommerce store, or wanting to go down the more traditional plain text route to build a more personal connection with your clients, Ontraport’s email builder excels at both. Again, the best thing about this builder is being able to move fast and create emails to an extremely high standard using the predetermined templates and blocks. A big benefit of using Ontramail is that all emails created with this system are automatically created with built in responsiveness. So no matter what device your emails are viewed on, they will look stunning with no extra effort needed. Got your own HTML email templates that you want to use? No problem! Ontraport also has a legacy HTML builder for those more technically inclined. If you’re looking to build something truly unique, the HTML builder can be a life saver. A key part of growing any online business is being able to take payments from your customers. With Ontraports payment processing powers, you’re able to take one off payments for individual products or setup subscription plans for your services. Simply integrate your gateway of choice from the list below using Ontraport’s backend API, and within a just a few clicks, you’re all setup and ready to take payments. As you can see, Ontraport works with most of the common payment gateways and also natively integrates with a few cart systems like 1ShoppingCart, UltraCart and ClickBank. The ability to be able to setup and automatically manage subscriptions, failed payments and collections is a powerful feature that is often overlooked but incredibly useful. For anyone that needs to lock down specific content on their site for different user types, Ontraport has built in membership sites functionality that works in conjunction with WordPress and their PilotPress plugin. By installing the PilotPress plugin on your site, you are able to allow or deny users access to specific pages depending on what access level the user has in Ontraport. Access levels can be given or taken away easily with automated triggers built in the campaign builder. For example, if you could to remove membership access to a user who has failed a failed payment, have yourself and a member of your team notified who can then make a call for collection. Ontraport’s PilotPress plugin can be a bit clunky from time to time and there are other alternatives out there link WPFusion that also integrate seamlessly and offer the same functionality. All in all, if your business needs simple and effective membership or subscription site functionality, this feature can save you a lot of money per month as you do not need to purchase another third party system to achieve the same results. This is one of my favourite (and most underused) features of Ontraport. The system natively integrates with your Facebook Ads account to allow custom audience creation based on events that happen in your campaigns. Most people using Facebook Audiences are using the very basic functionality like uploading lists and creating lookalike audiences, building audiences based on URL visits and Facebook page engagement. Ontraports integration allows you to take this to the next level! Want to build a custom audience in Facebook of users that have opened your “Limited time offer” email but didn’t click the link? No problem! How about creating a custom audience of all of your most active users that have a lead score of 100 or over? You got it. The power of this integration is really worth considering. If you use Facebook ads to grow your business, this feature of Ontraport is one not to be overlooked. For all of those pesky tasks that need a human to check or take an action, Ontraport has a tasks system that can be triggered at any stage in an automation campaign or simply added to each contact manually. Although we’d like to automate as much as possible in our businesses, we’re not quite there yet, and this task system can be a huge time saver for busy teams with big to-do lists. Tasks in Ontraport are fully customisable, can have due dates added, be assigned to specific team members and can even have customisable outcomes and forms attached to them. The ability to customise task outcomes and forms can be particularly useful when looking to feed data back into the contact record after the task has been completed. For example, let’s say that you have a new lead that comes in and you want to automate a task for one of your team to call the lead and try to book them in for an appointment or consultation. You then build the “Appointment Booked” outcome into the task and also create a short “Appointment Details” form to build into the task outcome. This allows your team to mark the task complete with the right outcome and also input the details of the appointment like time, date and any other notes, from the same screen. This can be a huge time saver for you and your team. Measuring KPIs and other business metrics is a critical part of making data backed decisions that help you grow your business. With the customisable dashboard inside Ontraport you can gain access to all of the key metrics that you need at any time of the day. I would advise that you build your key sales and business process and automations first and then customise your dashboard second so that you can track user activity at every stage. Ontraport have done a great job with this dashboard by allowing you to customise all aspects of the data shown. Another underused feature is Partner Programs. Granted, not all businesses want to make use of such a tool but I’d argue that most businesses could and should. Even if they just use the basic functionality to create a shareable referral link for new customers. Dropbox have shown us the power of this tactic to skyrocket growth by incentivising referrals. Ontraport gives you the option to customise your partner and affiliate programs, how commissions are paid out and what promotion tools (links, banners etc) are available for each partner. You are also able to setup a Partner Center so that partners can log in, access their referral reports and see what leads and commissions they have generated. As you can see, the UI of this partner center needs greatly improving and is pretty basic at this point but I know that it is on the roadmap for them to upgrade in the near future. With all of these amazing features (and many more) it’s understandable that business.com have made Ontraport their CRM of choice for over 3 years. Ontraport is a truly amazing system that can help many business types to automate, cut costs and save time when used correctly. Yes, I’m slightly biased, being an Ontraport Certified Consultant and all, but I do also have a background in Infusionsoft, ClickFunnels, AgileCRM and other systems. I believe Ontraport is the only system that really pulls off it’s “all-in-one system” goals to a decent standard. If you found this article useful, let me know in the comments below or if you and your team need help with unlocking the full potential of Ontraport, let’s talk about it!